Have you seen the 52 week challenge on social media? Basically you start with saving R10 in your first week, then the next week you save R20, and the following week R30. The idea is to put that money in a separate place so it can’t get used on daily milk and bread. And also that it’s separate and shows you how adding a bit at a time makes a whole lot of money at the end. 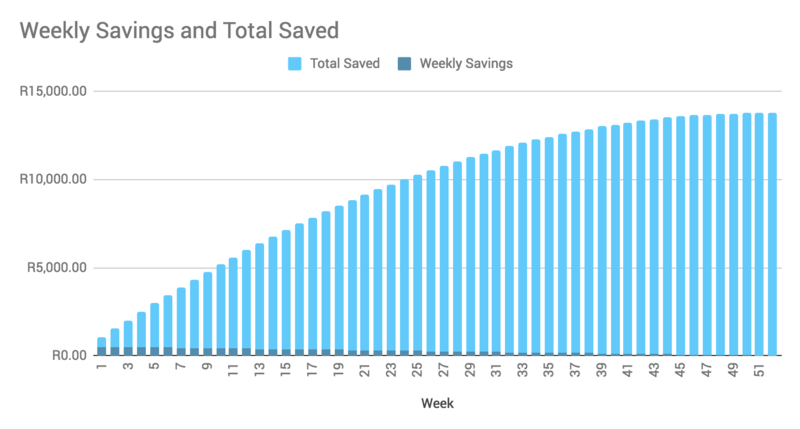 If you keep going every week, you’ll have saved over R13,000 by the end of the year. See this picture to show you how it works (pic credit: your future now). 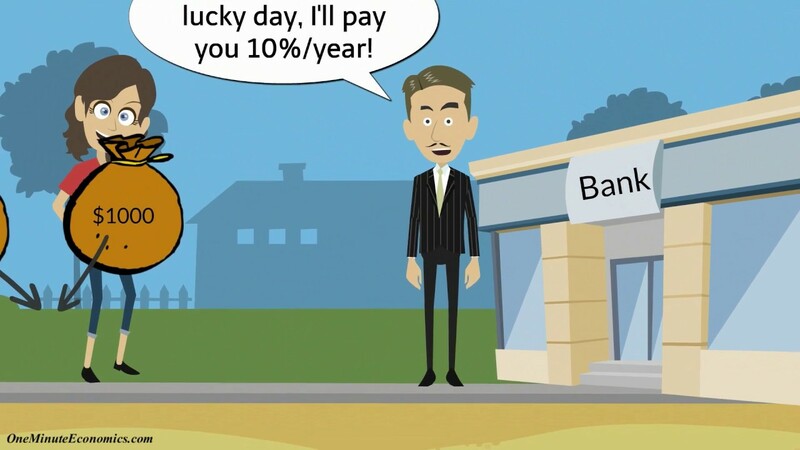 At #simplymoney, we’ve got a different idea. 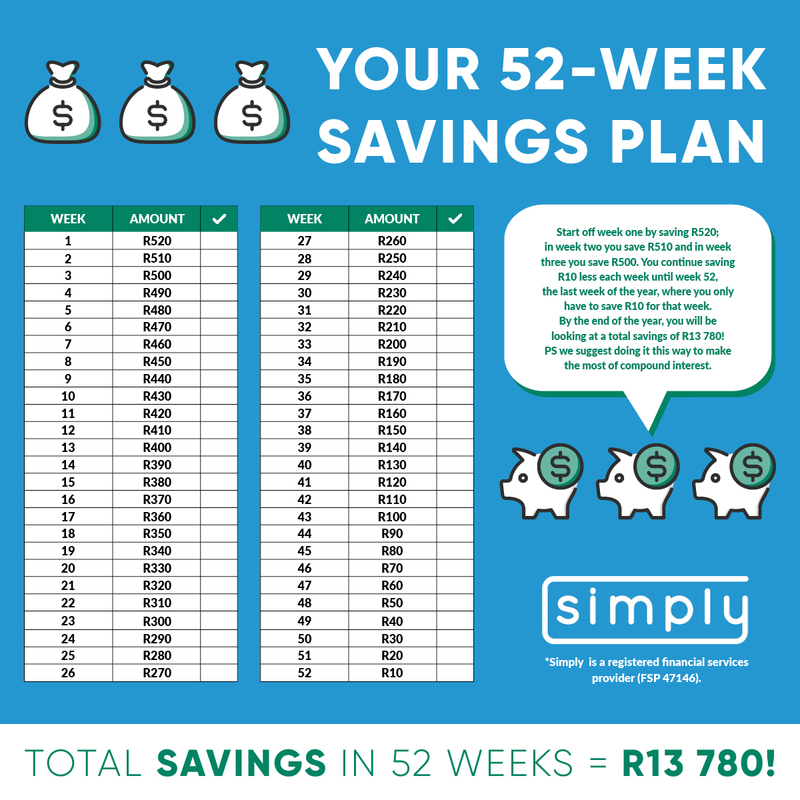 It’s a lot harder to save more in January, but if you can, then reverse the numbers and save the biggest amount first – R520. Then by the very last week in the year, you’ll be down to saving R10. There are a couple of bonuses to doing it this way. One is that by next Christmas, when you’re doing the whole shopping thing again, you’ll have more money. But most important, by doing it this way, you’re making your money work for you. By using compound interest. Have a look at these to see what we mean.